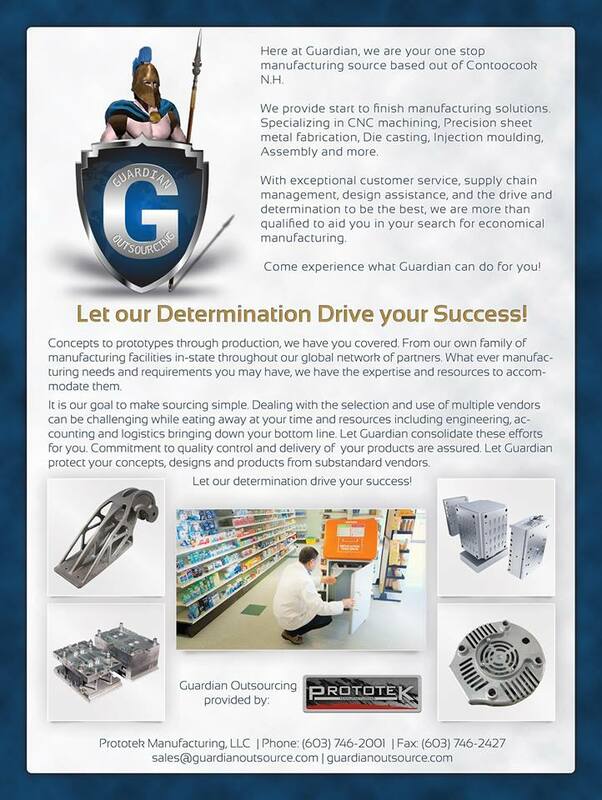 Prototek Manufacturing now offers Guardian Outsourcing! Outsourcing at its BEST!! Prototek Manufacturing now offers Guardian Outsourcing! We do it all, so you don’t have to! Sheet metal fabrication, CNC Machining, Injection Molds, Die Casting, Assembly and more. Call Brian Francoeur at 800-403-9777 for more information today!